Network bridging describes the action taken by network equipment to allow two or more communication networks, or two or more network segments, to create an aggregate network. Bridging is distinct from routing which allows the networks to communicate independently as separate networks. 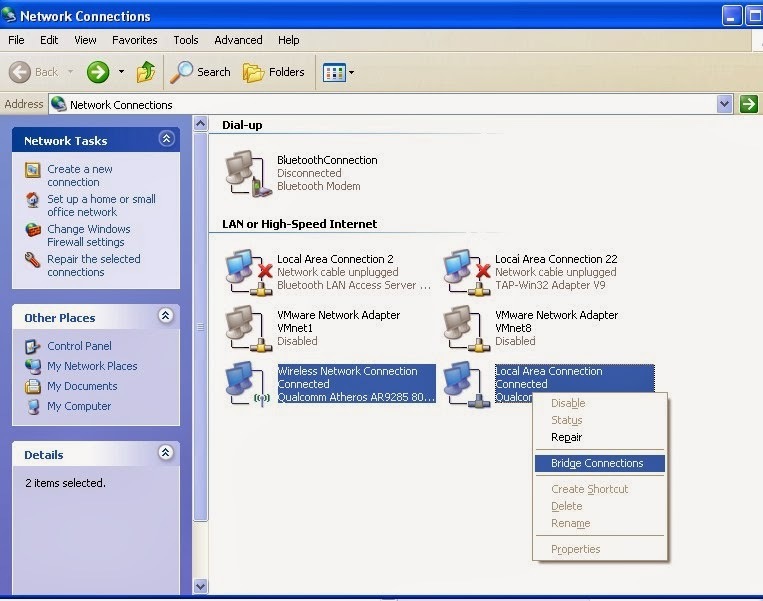 A network bridge is a network device that connects multiple network segments. In the OSI model bridging acts in the first two layers, below the network layer. 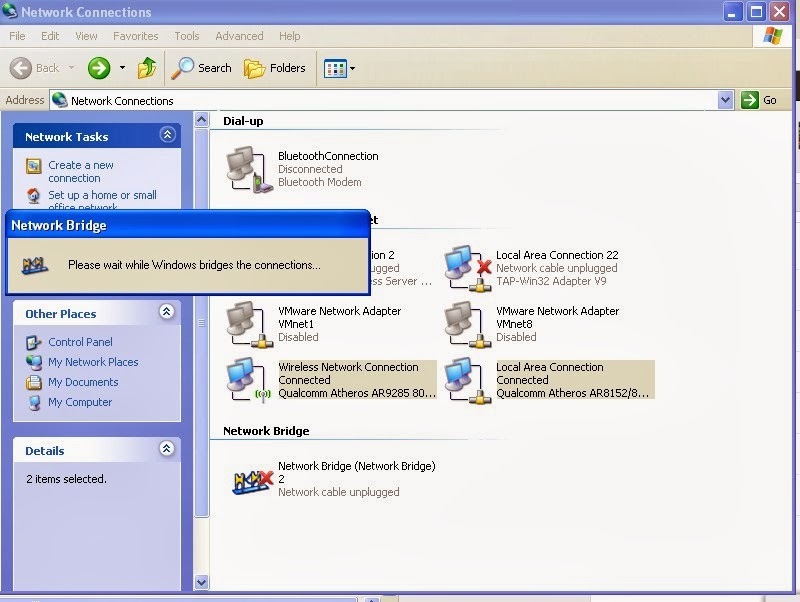 Bridges are used to connect LANs. Therefore in determining how to transmit traffic between LANs they use a destination MAC address. Bridges pushes the function of network layer such as route discovery and forwarding to the data link layer. 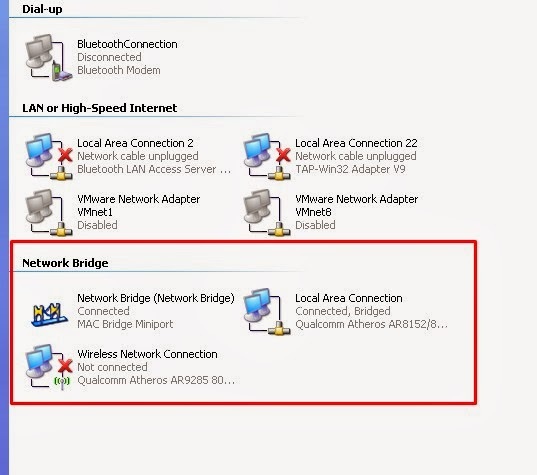 There is no conventional network layer for bridge. The bridges can not maintain the data integrity. For example suppose there is a error in one frame and that frame is not transmitted properly the bridge will not give any acknowledgement to retransmit that frame. If the bridge becomes congested the frames can be discarded to make the traffic smooth. On the other hand the bridges are easy to implement and no need to configure them. Note: if you don't want to use this just delete the MAC Bridge Mini port to delete all setting you made.